Roads lead to people, places, and things. Roads can take us into the future or back in time. Roads are driven on, crossed over, lived next to, bulldozed, changed, and sometimes left and given back to nature. This is a short history of a road in Fremont, California that traverses the lands of Mission Peak. It includes stories of the pioneer families who lived within its environs. 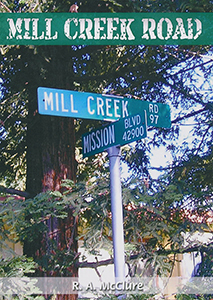 Along this road are evidences of both the Chochenyo band of the Ohlone Indians was well as the Spanish, but this story begins during the Pioneer Period in 1853. The narrative includes odometer and GPS reading and invited you to walk along as the narrative of the book unfolds.